This part of the Southwest has two rainy seasons, but the summer “monsoon” and winter rains together amount to only 12" of rain per year. 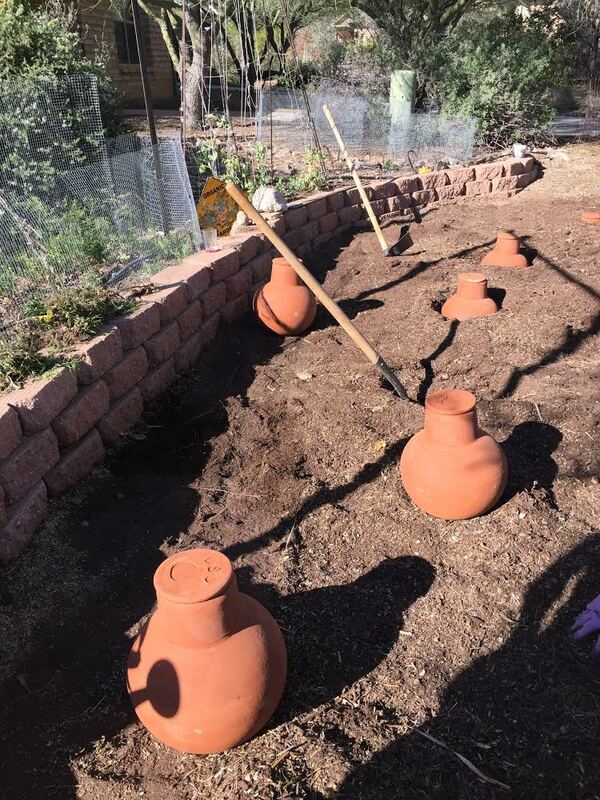 At Milagro, we see rainwater as a precious resource that we harvest and use to nurture the community gardens. The roofs of the buildings at Milagro are designed to collect and direct rainwater either to our garden areas or to our cisterns for storage. 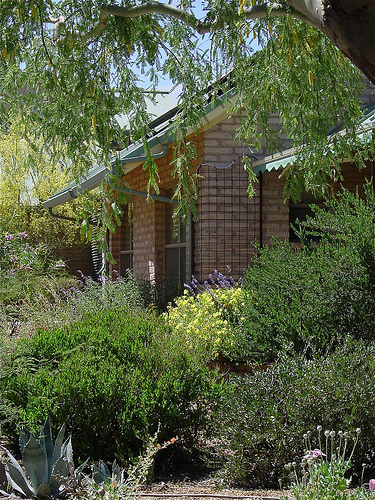 The garden areas around our houses are landscaped into retention basins and swales that trap rainwater and let it drain slowly into the soil rather than running off. Whenever possible we try to return organic material like food and garden waste to our soil. Several of us at Milagro run compost bins where food scraps, grass cuttings etc. are slowly allowed to rot and eventually dug into our gardens. At Milagro, part of ecological living is to encourage a responsible attitude toward the waste we produce. We subscribe to Tucson’s citywide recycling system and provide community members with a separate dumpster for recyclables such as paper, plastics and glass. Yard sales, community exchanges, donating and shopping at thrift shops, along with local programs such as Freecycle, our own ingenuity, all help us reduce what we send to the landfill.